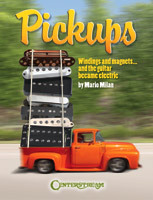 The first book to examine pickups in detail is here! Covers everything from the first experiments to classic models conceived for major guitar manufacturers. Includes a 32-page color section of the most popular models and rarities, a timeline, info on building pickups and technical specs, and biographical notes. Did you know that your personality can affect the way you learn and perform on a musical instrument? 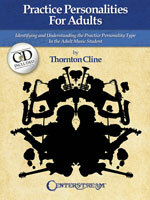 This book identifies nine practice personalities in music students. Adults will learn how to practice more effectively and efficiently according to their personalities. A Practice Personalities Text is included along with an accompanying CD. 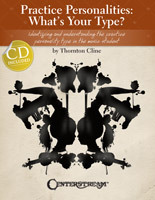 Practice Personalities: What�s Your Type? Teaching is one of the greatest responsibilities in society. It�s an art form that requires craft, patience, creativity and intelligence. Practice Personalities: What�s Your Type? Will help teachers, parents and students realize the challenges of practicing, understand the benefits of correct practicing, identify and understand nine practice personality types, and employ useful strategies to effectively motivate and inspire each type of student. The accompanying CD demonstrates effective practice strategies for selected piano, violin and guitar excerpts from the book. Regal Musical Instruments: 1895-1955 is the only book to trace the history of the Chicago musical manufacturer. With its roots in Indianapolis, the Regal familiar to most c ollectors and players was spun off of music giant Lyon & Healy in 1908. 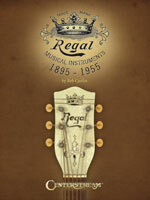 Regal Musical Instruments 1895-1955 draws upon period trade magazines, distributor catalogues, as well as the never before published memories of Regal factory employees to paint a complete picture of the company�s history. 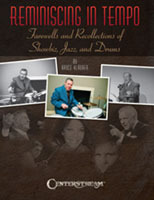 By way of incisive interviews, tributes, remembrances and eye-opening anecdotes about his personal association with everyone from Frank Sinatra and Lou Rawls to Mel Torme and Norman Mailer, this book chronicles Bruce Klauber's incredible, five plus decades as an author, acclaimed filmmaker, jazz journalist and columnist, talent scout, editor, public relations consultant, jazz drummer, singer, multi-instrumentalist and recording artist.